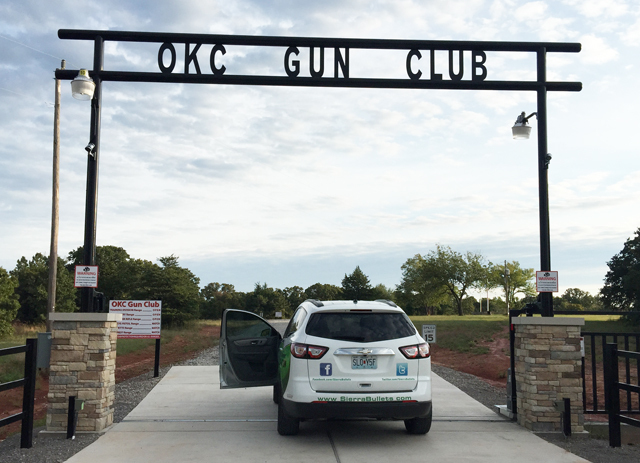 Oklahoma City Gun Club is one of my favorite gun clubs. 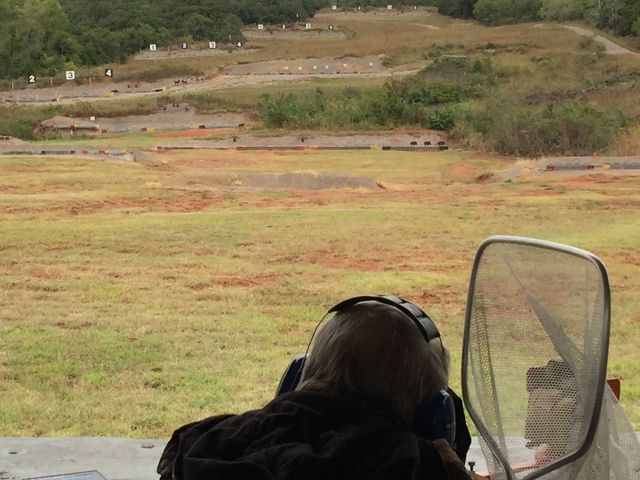 It is a large well organized gun club with a variety of shooting disciplines. I was down there October 1st thru the 4th and managed to shoot 3 different disciplines during that time. Region 4 IHMSA was going on the 2nd thru the 4th, but on the day before, (1st) they hold an AR Match. It consists of 3 courses of fire. You can shoot any or all of the courses. The targets are 10 inch round plates at all distances except for the 100 yard portion and it is 8 inch. The Short Range Course, you shoot 5 shots at 100 meters, 5 at 150 meters, 5 at 200 meters and 5 at 3oo meters. You shoot off a rest and it isn’t timed (Well, a reasonable time, you can’t spend like 15 minutes), the second course is the Rapid Fire. You shoot it in reverse, starting at the 300 meter gongs and work back with a 60 second time limit. The range record for it with a perfect 20 is 36.5 seconds. I managed to shoot it in 29 seconds but missed my very last 100 meter plate. The Long Range portion is 200 meters, 300 meters, 385 meters and 400 meters in a reasonable time. The worst problem was that is rained nearly all day. It was a fun match though even with the weather. That evening, several of us shooters went to supper together and of course, talked about shooting in the old days in a lot of different places. I had noticed that there was going to be a IPSC match on Saturday. Friday evening, I thought I would run over to the range and see what it looked like. I didn’t really expect to see anyone there I knew. As I pulled in, the first person I saw was Kurt Miller helping set up stages. I have known Kurt for years and knew he lived in Oklahoma but I never realized that he only lived about 6 miles from the Oklahoma City Gun Club. The next morning, I was shocked when over 90 shooters were there for a monthly match. Before the match was over, I had ran into at least 12 or 15 shooters that I knew and had shot with before. They had some fun stages with a lot of rounds. After the match, every one helped with tear down, then I headed back over to the silhouette range. That evening, several of the Kansas/Missouri shooters got together for supper and the next day it was back to the silhouette range. It makes for an enjoyable weekend visiting with all your shooting friends. It is really just like one big family. Just a day or so after I got back, I received an email about one of our shooting friends who had passed away. Mike Stimpson, from Texas had fought a long battle with cancer. He will be dearly missed by one very large family of shooters. See you all on the range. 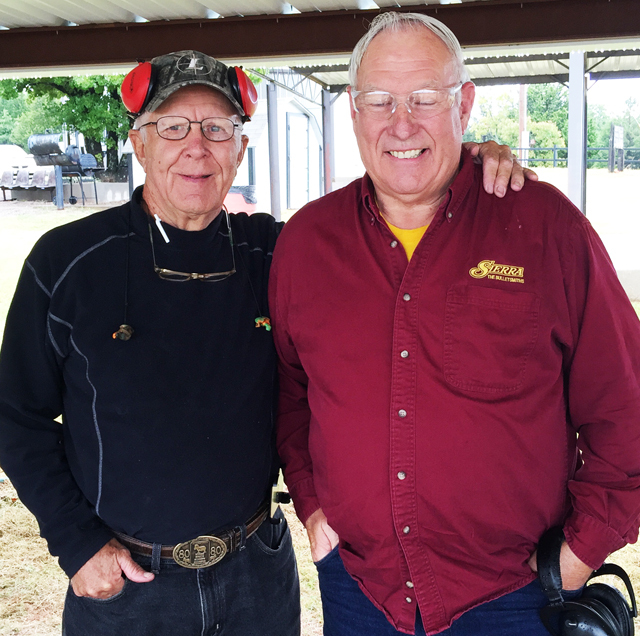 This entry was posted in Competitive Shooting and tagged handgun siloutte shooting, IHMSA, ISPC match, OKC Gun Club, Oklahoma City Gun Club, shooting match, target range. Bookmark the permalink. Both of you guys, Jim Fields and Carroll Pilant, leave a kind and great feeling in my gut! You both rock and considered to be two of my best friends ever. Oh the memories! Sure wish I could do a better job of getting in creadmore myself!